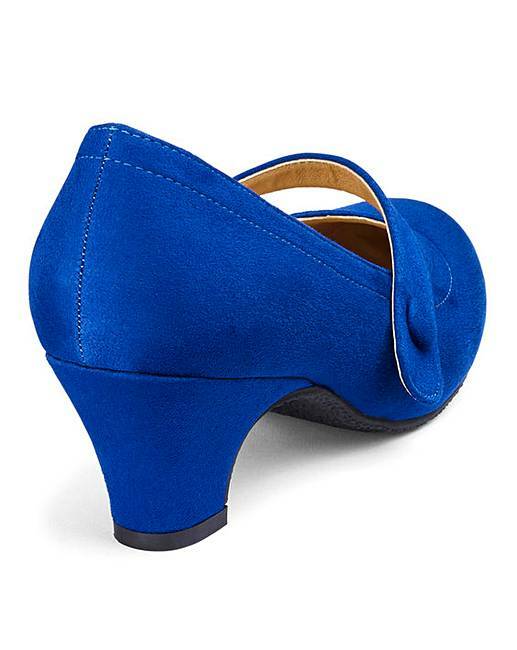 Mary Jane Bar Shoes EEEEE Fit is rated 4.4 out of 5 by 5. 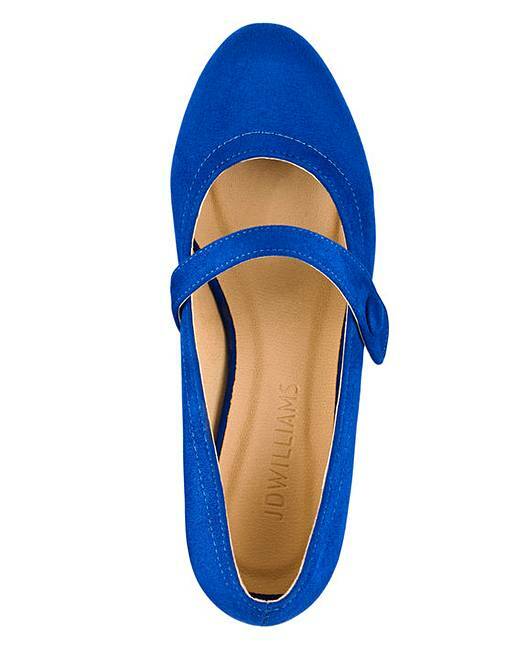 This pretty, heeled shoe features an elasticated bar strap. The medium-sized heel promises a subtle boost of height, meanwhile the choice of colour of the shoe ensures that you remain centre of attention no matter the occasion. Who says comfort and style don't mix? Rated 4 out of 5 by AnneKR from Very comfortable extra wide fitting shoe I bought these shoes for an upcoming wedding because I'd been struggling to find nice shoes in ultra wide fitting. Delighted to say not only did they fit well, but they look really good with the wedding outfit too. 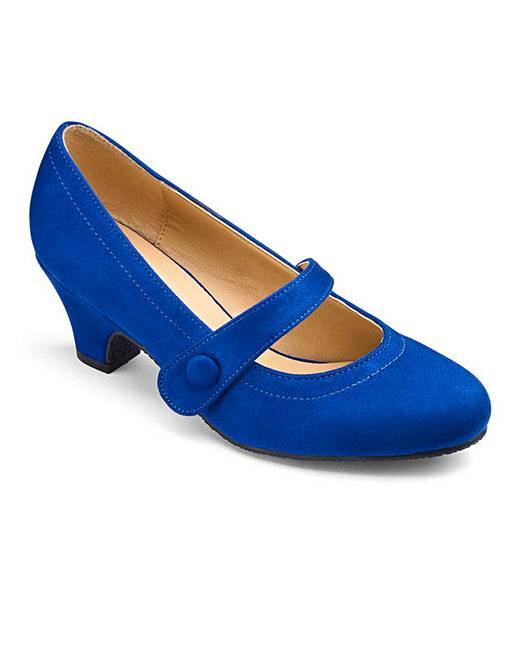 Rated 5 out of 5 by Caper 1 from Shoe's I bought my shoes a couple of weeks ago and I'm very please with the quality comfort and fit I have a very hard time finding comfortable and good fitting shoes .I reate these shoes 5 star!!!! Rated 5 out of 5 by Devonlady from Very happy with this product. I bought this for my daughters wedding. Good quality and very comfortable. Rated 3 out of 5 by Whirley from Bar Shoe I had to return these as the strap is too far down the shoe in my opinion and doesn’t look right. The shoes were also surposed to be a 5e fitting but certainly didn’t feel like it.